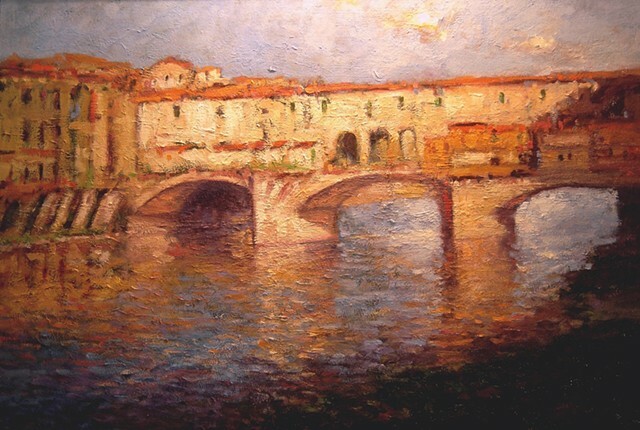 The Ponte Vecchio bridge in Florence Italy has a great charm. It's irregularities, nooks and crannies make it a joy and a challenge to paint. I have seen it in various light conditions but this July morning light works really well to show off the character of the old bridge.